I do feel an attachment to the club and a love for the club. It doesn't happen the first year you get there. THE BONE-SHAKING shirtfront that knocked Stefan Martin into next week in round four is not the reason he wasn't at his best in 2016. After all, the courageous big man played the next week as footage of him colliding with Gold Coast defender Steven May went viral, attracting viewers around the world. A quick text to May soon after the incident showed he held no hard feelings about the hard hit. Now, nearly eight months later, he remains relaxed about it all. "I got knocked out. It's OK," Martin told AFL.com.au. "I can understand in the confines of a footy game you push that edge and sometimes you make a decision that is over the line." The bump, the concussion, and May's suspension, may have been the talking point of the incident, but for Martin, the pain in his knee was a much bigger problem. It restricted him for most of the season and eventually led to an end-of-season bursectomy to fix the problem. "Pretty much every step I was taking I was in pain so jogging was painful [and] I couldn't reach top speed," Martin said. At times, his movements appeared as clunky as a shopping trolley with a wonky wheel as his ability to peel off opposition ruckmen and run into space disappeared. Frustrated but forced to battle on, Martin did the best he could without being anywhere near the player he wanted to be in 2016. It made his effort to finish third in the club best and fairest admirable (after sharing first place a season earlier) but Martin didn't see the podium finish in that light. "I just wasn't happy with my season. I would put it down to the knee but either way I felt a little bit embarrassed to be in third spot [in the B&F] just because my output wasn't what I wanted it to be," Martin said. However that experience has made the 199cm mobile ruckman desperate to make amends next season. Although still in the rehab group he is enjoying a week down at Launceston with his teammates and in particular being able to once again do leg weights and speed work at training. "It is like I am a first year [player] in that way so it is really exciting. [I'm] largely pain free [and] able to do everything, which is the important thing whereas I was really limited last year," Martin said. Having turned 30 a little under a month ago he is well aware he is the only player in that age bracket on the Lions list. It is a fact that underlines the youthful nature of the list but it also motivates Martin. "I want to be part of a rising team," Martin said. "I'm obviously a bit older now and can impart some things that I have learned to other guys and be part of a climb – I've been part of a losing team for 10 years – I want to be part of something exciting." In Martin's nine seasons playing AFL football, he has never been part of a winning team more often than a losing one in a year, having won just 27 of his 114 games. He admits early on in his career, during his time with Melbourne particularly he wasn't as invested in the team's fortunes as he should have been. However that has changed and he is determined to take ownership over the team's fortunes. "I do feel an attachment to the club and a love for the club. It doesn't happen the first year you get there. It's taken time and feeling like there has been give and take from the club and from me," Martin said. On a personal level he wants to enter All Australian discussions at the end of next season, driven to get his speed and agility back to its best. But such ambitions are secondary to team success. New coach Chris Fagan has emphasised that it's the players' club and Martin says he appreciates the message. 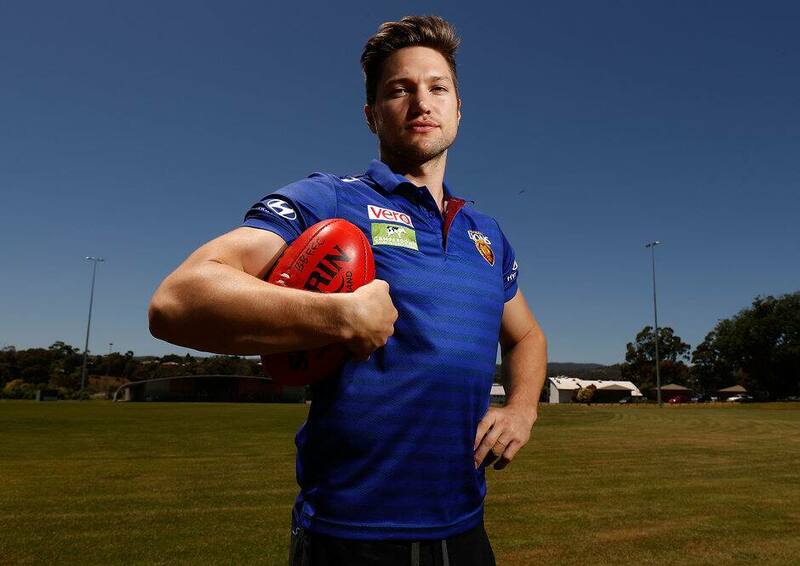 "[He] wants us to own and invest in the footy club and be shareholders in the club," Martin said. "You can sort of feel a bit of that transfer of ownership going on. It feels good." As does Martin's knee, which is a bonus for the Lions who need him to carry a heavy load as Archie Smith and Oscar McInerney develop as ruckmen.